LOOK WICKEDLY GOOD, JUST DON’T EAT THE APPLE! WHATEVER YOUR POISON, THIS ENSEMBLE IS SURE TO TURN HEADS! Mirror, mirror, on the wall, you could be the fairest of them all, in this spellbinding wicked queen costume this Halloween. This is a quality Halloween costume available in a variety of sizes and colours. Get ahead of the crowd and order your Halloween costume today! TAKE THE RISK FACTOR OUT OF ORDERING ONLINE WITH OUR ‘NO QUESTIONS ASKED’ RETURN OR EXCHANGE POLICY. 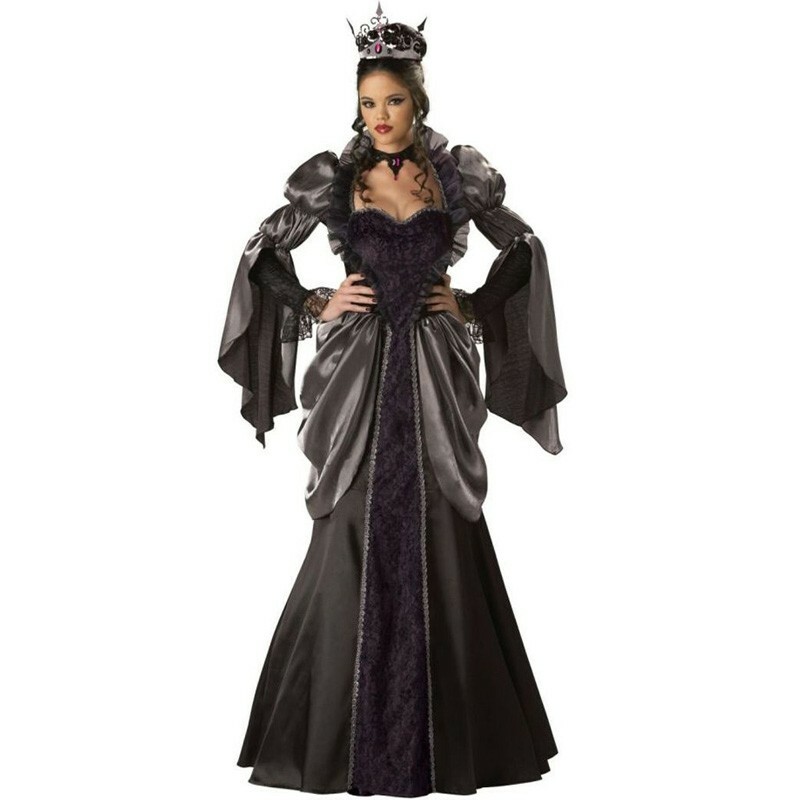 This wicked queen Halloween costume combines an ornate full-length silver and purple gown with lace overlay and silver peplum to create a royally eye catching look. Add some bling with the sequinned crown and lace choker to give it a truly regal feel. Bring your own shoes and accessories to complete the look and have Snow White and those annoying dwarves shaking in their boots. Beat the rush! Buy today!